Yoga Disco in Om Yoga Magazine! OM – (G!) blimey! 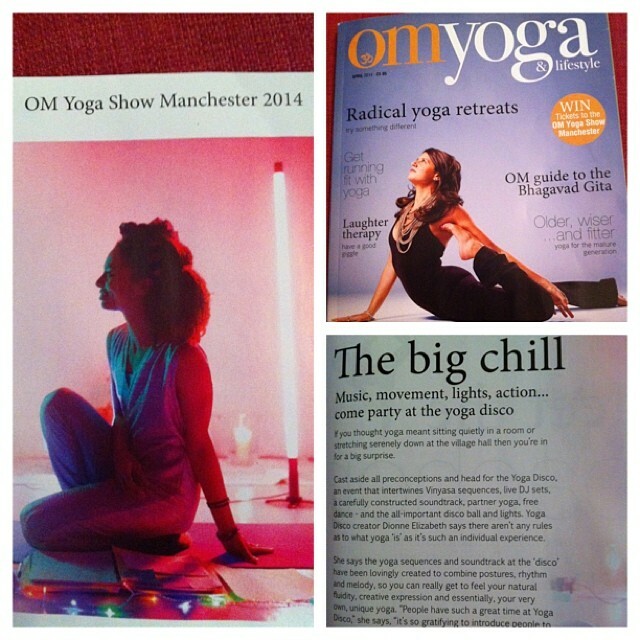 Seeing myself unexpectedly in the latest issue of @OMYogaMagazine today with a feature on the Yoga Disco! Thanks very much- a lovely surprise (thanks to Francesca for the heads up!) The picture of me was taken by the super talented Margit Selsjord @tigramargit on Instagram! ☺ We’re mega excited to take the Yoga Disco to the OM Yoga Show Manchester for a shindig this May! You coming? This entry was posted in lifestyle, music, news, workshops & events, Yoga Disco and tagged Manchester, Om Yoga Magazine, Om Yoga Show, yoga, Yoga Disco. Bookmark the permalink. ← Art + Yoga project in the news!